Most of us have at least one device in our homes that guards our safety and, at the same time, depends on radioactivity to operate properly. This device is a smoke detector. 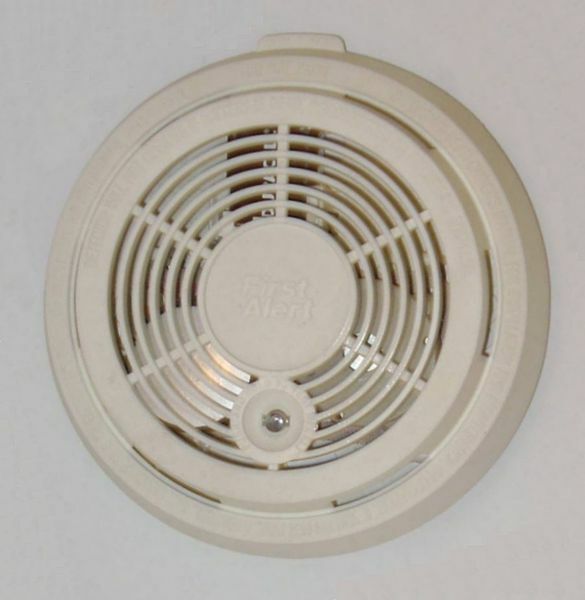 When particles of smoke from a fire enter the smoke detector, they interfere with the ions between the metal plates, interrupting the flow of current. When the current drops beneath a set value, another circuit triggers a loud alarm, warning of the possible presence of fire. Although radioactive, the americium in a smoke detector is embedded in plastic and is not harmful unless the plastic package is taken apart, which is unlikely. Although many people have an unfounded fear of radioactivity, smoke detectors save thousands of lives every year. Many people think of nuclear chemistry in connection with the nuclear power industry and atomic bombs but do not realize that most smoke detectors rely on nuclear chemistry and save countless lives every year. The applications of nuclear chemistry may be more widespread than you think. Source: “Residential smoke detector” by Oleg Alexandrov is in the public domain. Introduction to Nuclear Chemistry by Jessie A. Key is licensed under a Creative Commons Attribution-NonCommercial-ShareAlike 4.0 International License, except where otherwise noted.